Our most advanced and protective Knee Brace. 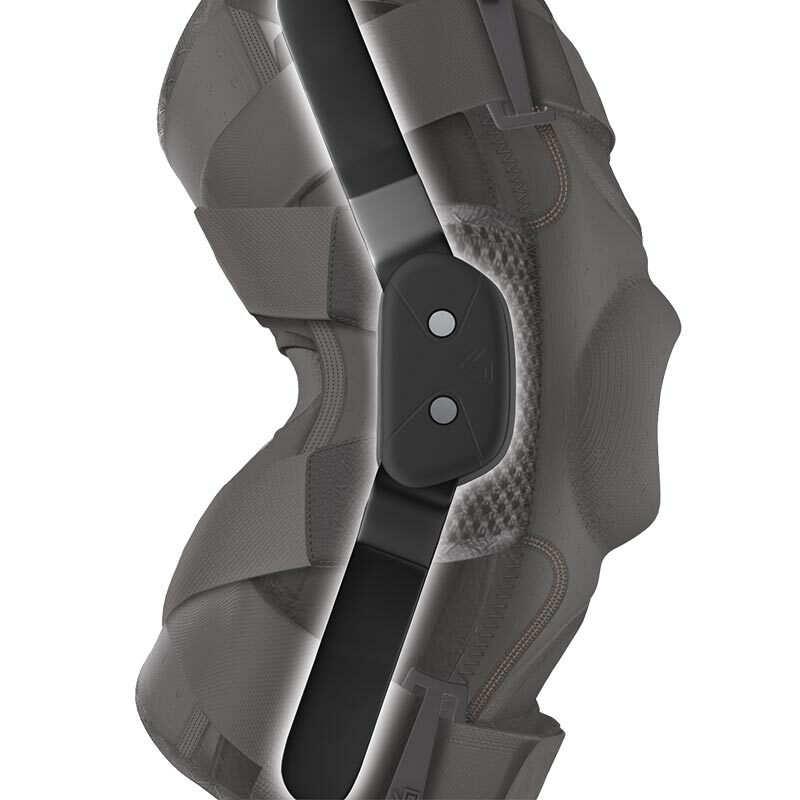 The 875 Shock Doctor ® Ultra Knee Support features bilateral support hinges and tempered aluminum stays for knee stability, protection and increased performance. You can be confident going into any workout, practice or game knowing that past knee injuries won’t hold you back. The premium stitching assembly, patella support finishing and Lycra® binding are built for the most rigorous activities and long lasting comfort. Convenient finger tabs offer easy grip pull when you’re putting the Ultra Knee Support on. To determine the correct size, measure the circumference 5cm below the knee cap centre. To determine the correct size, measure the circumference 2 inches below the knee cap centre. 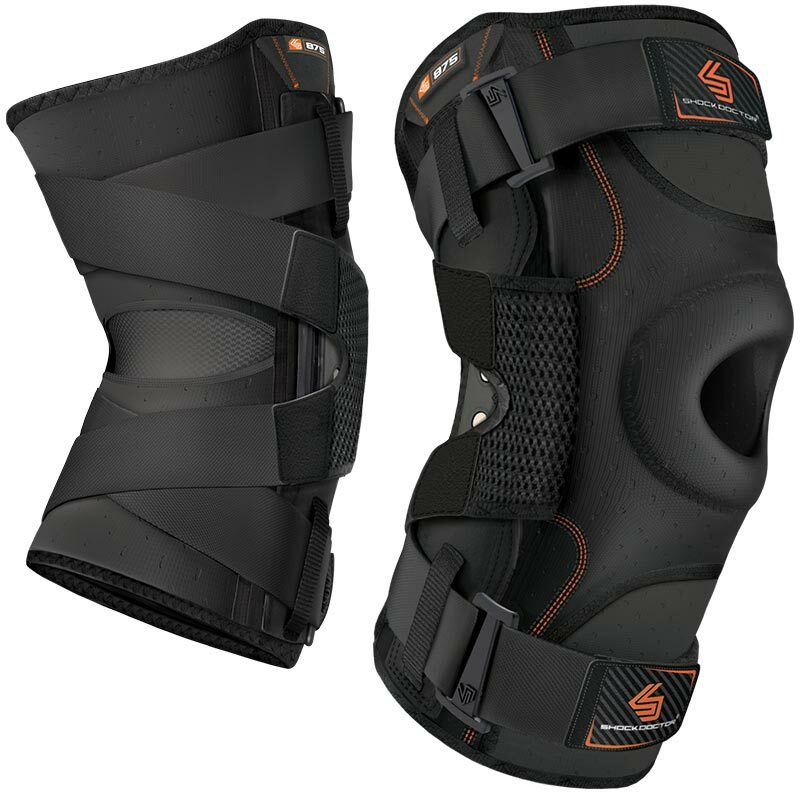 After a torn MCL and ACL this Shock Doctor knee support has been invaluable and did it's job of stabilising my knee very well. Price for the quality of the product is excellent. 5 out of 5 Excellent purchase! After taking up skiing later in life, I've always suffered with one of my knees being weaker than the other. It swells up after doing a days skiing, so three days in you can imagine what it gets like. So with my new shock doctor bilateral ultra knee support it gives me extra support and confidence to take a better turn with my weaker knee. Well impressed!!!! Great item, gives really good support to my weaker knee so I can carry on doing sports that I love. I would recommend this item . I also received great service from newitts as I had to return the first one (I needed a bigger size). There were cheaper supports available of a similar (metal brace) type so I wasn't sure if this would be worth the extra, but I can say I'm glad I brought it. I'm happily playing Club Badminton on an ACL deficient knee, with total stability and my knee has not given at all since using this! I had a neoprene non braced support previously but still experienced my knee giving under dynamic stresses, but no more. It is also cool to wear (relatively speaking! ), easy to put on and although it looks and feels bulky, I don’t notice it at all once playing, and have not noticed any restriction to my movement or effect on my play. Very happy and worth every penny! 5 out of 5 My Knee was braced. Yes it does the job. I had no pain whilst training by wearing the knee support. Usually I have pain and my Jujitsu training is very limited.